It's been a while since we have had a meet up and after welcoming so many new faces to our blogroll we knew it was time to make it happen. 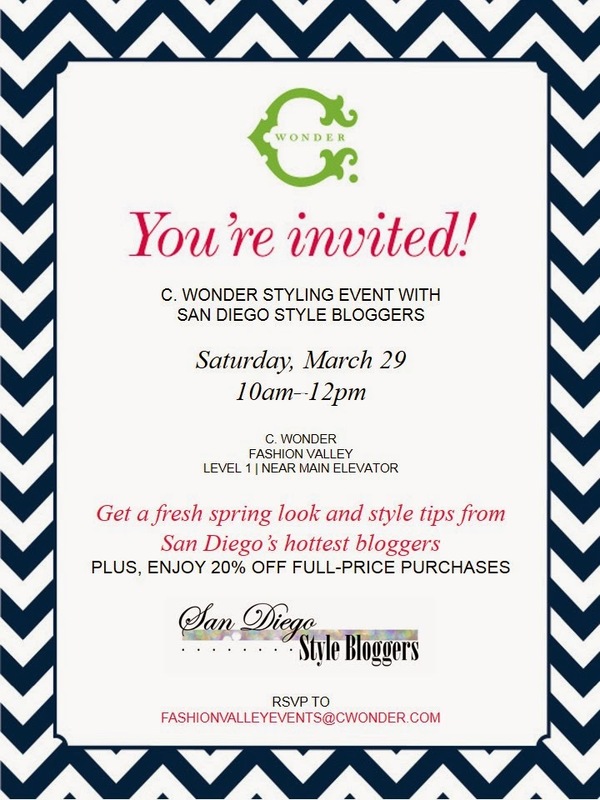 Luckily the wonderful people at C Wonder Fashion Valley have offered to host us on Saturday March 20, 2014 from 10am to 12pm! This is a great opportunity for us all to network, get to know each other or just catch up (for those SDStyleBloggers who have been with us for a while). If this is your first one, don't be shy! Bring your stylish self (and your business cards if you'd like) as everyone is very welcoming! Please RSVP to FashionValleyEvents@CWonder.com if you are able to attend! Feel free to email us at sdstylebloggers@gmail.com if you have any questions!